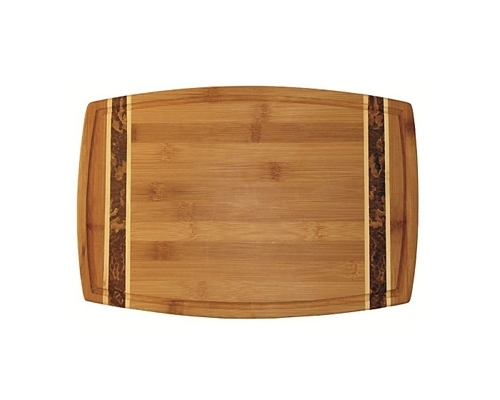 The Totally Bamboo Medium Marbled Cutting Board is a reversible board with deep juice well on one side and serving surface on the other. Made from natural flat grain and marbled inlay bamboo. Dimensions: 15 x 10 x 3/4 in.